The usual starting dose is Angilock® Plus 50/12.5 one tablet once daily. 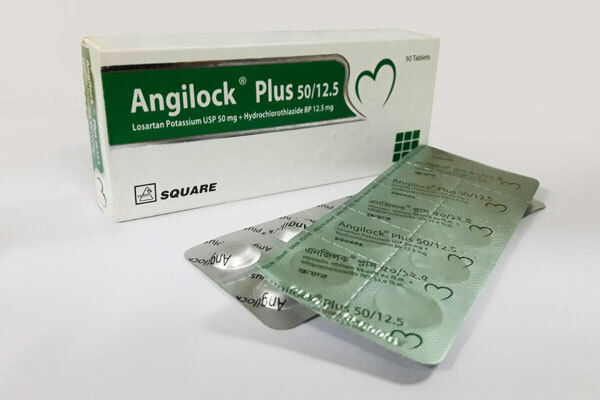 More than two tablets of Angilock® Plus 50/12.5 or one tablet of Angilock® Plus 100/25 once daily is not recommended. Patients whose blood pressure is not adequately controlled with losartan or hydrochlorothiazide monotherapy, may be switched to Angilock® Plus 50/12.5 once daily. If blood pressure remains uncontrolled after about three weeks of therapy, the dose may be increased to one tablet of Angilock® Plus 100/12.5 or two tablets of Angilock® Plus 50/12.5 or one Angilock® Plus 100/25 once daily. Patients whose blood pressure is not adequately controlled with losartan 100 mg monotherapy, may be switched to Angilock® Plus 100/12.5 once daily. 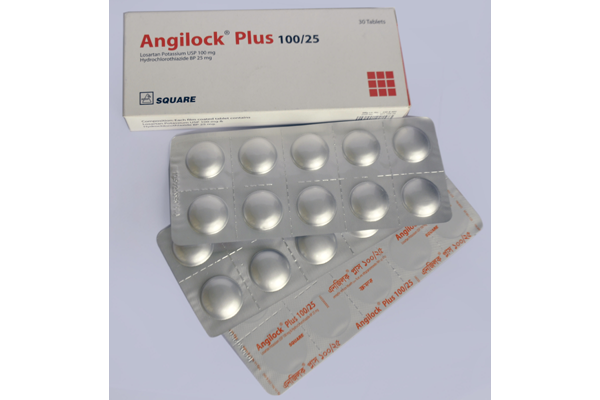 Angilock® Plus 50/12.5 Tablet: Box containing 50 tablets in Alu-Alu blister pack. 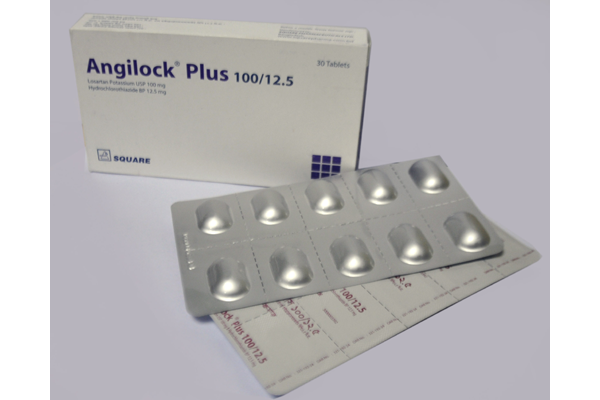 Angilock® Plus 100/12.5 Tablet: Box containing 30 tablets in Alu-Alu blister pack. ® Plus 100/25 Tablet: Box containing 30 tablets in Alu-Alu blister pack.